About 250,000 new cases of breast cancer are diagnosed each year, and more than 3.1 million breast cancer survivors are alive in the U.S., according to the American Cancer Society. Locally, more than 1,000 women in the Rochester and Finger Lakes regions will face a breast cancer diagnosis within the next year. However, in the last 20 years, there has been about a 30 percent decrease in breast cancer mortality, in part to research that’s led to improved treatments. There is still progress to be made, and research is the only way to find new and better treatments for breast cancer. It’s critical to the care patients receive. del Lago Resort & Casino focuses its mission to strengthen the community by supporting local organizations and nonprofits that improve the quality of life in the region. With breast cancer the second leading cause of cancer death among women, del Lago Resort & Casino will host several events to increase awareness and benefit breast cancer research during October’s Breast Cancer Awareness month. The resort and casino will be going pink this month. Guests will see del Lago employees donning pink T-shirts, accessories and ribbon pins in October. Among other breast cancer awareness promotions featured at del Lago this month, guests who wear pink to their Spa del Lago appointment will receive 15 percent off their service. del Lago’s bars are serving limited-edition pink Michelob Ultra on draft while customers looking to support breast cancer research with a cocktail instead may try one of del Lago’s five signature pink drinks. One dollar from every pink cocktail will support the cause. 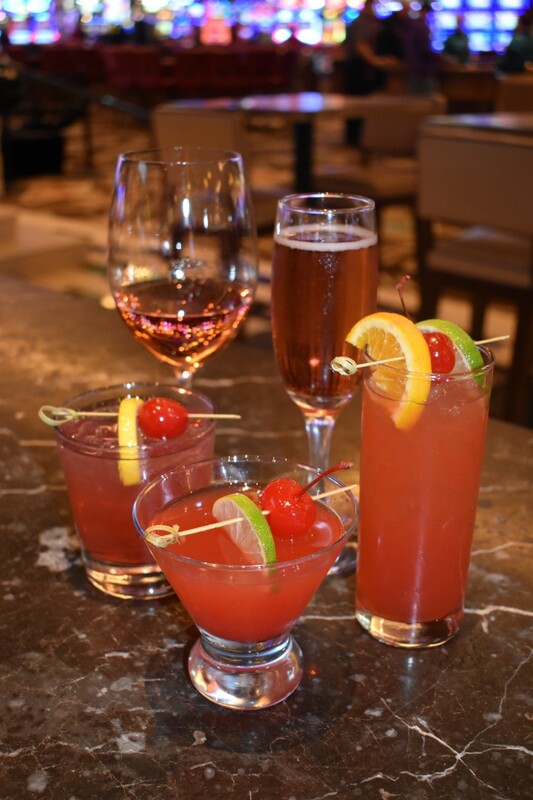 Over the past few months, del Lago Resort & Casino has hosted popular Tasting Tuesdays. The monthly event features wine, beer and cider samplings from 20 local Finger Lakes regional wineries, breweries and cideries. Proceeds from the event support a different local charity each month. On October 24, Tasting Tuesday proceeds will benefit the Breast Cancer Research Fund at UR Medicine’s Wilmot Cancer Institute. The organization is working to build its breast cancer research program to national prominence, strengthening its role as a hub for progress against breast cancer and ensuring that families across upstate New York and the Finger Lakes have access to the latest advances in cancer diagnosis and treatment. Support from members of the community is vital to advance breast cancer care nationally and in our region. del Lago Resort & Casino is proud to support local breast cancer research and encourages its guests to join in and support the cause.